The awards for Fort Clinch finishers! 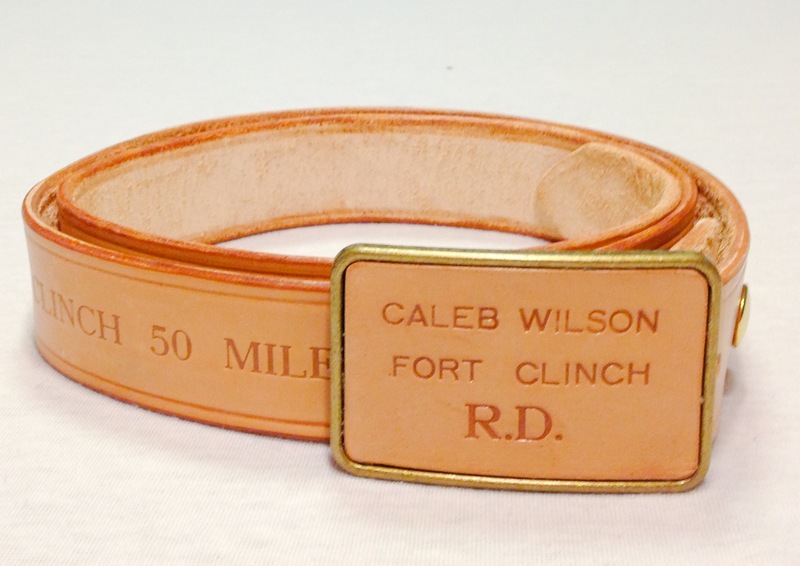 100 Milers: antique brass buckle. 50 Mile Finishers also receive a buckle with the belt, although not quite as fancy. 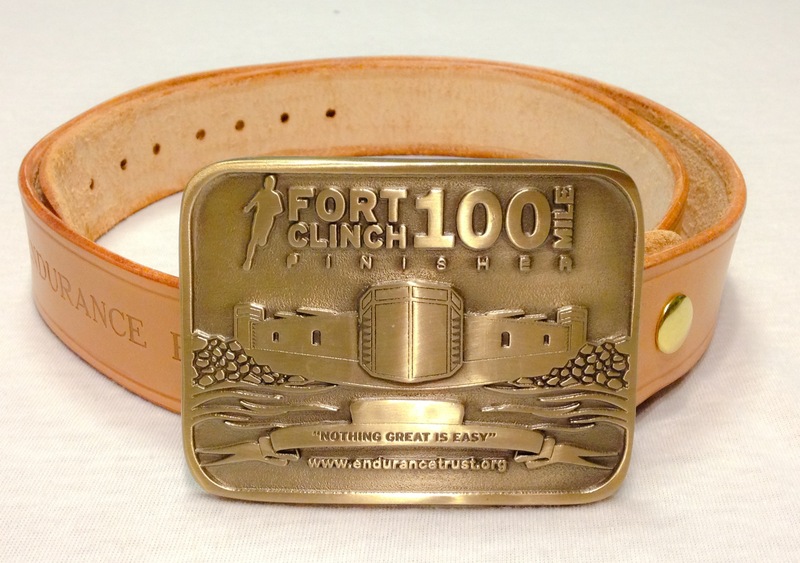 For those of you who already have a 100 mile buckle from previous years, come get a matching belt!